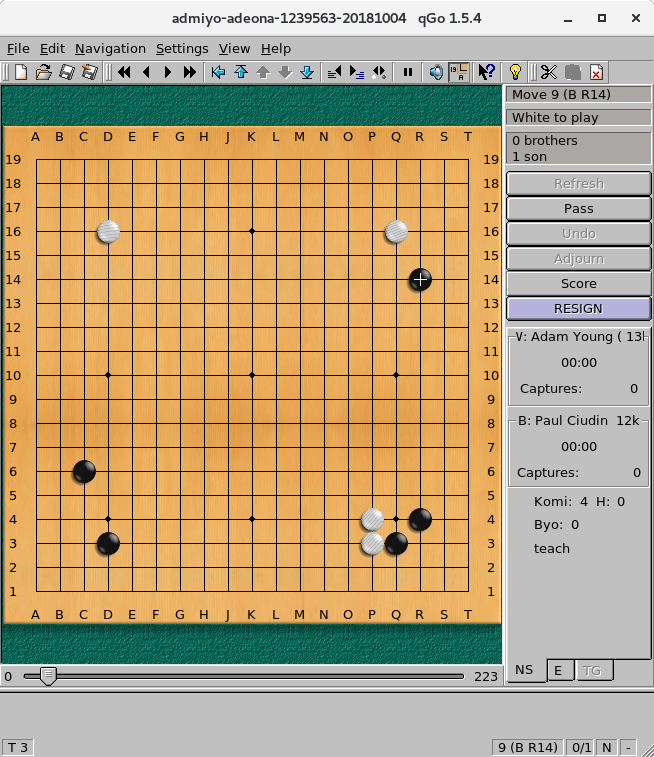 The Game of Go is still pretty much the ultimate strategy game. No other game distills strategy to its essence, in such simplicity, and thus lets the complexity emerge. One aspect of Go is that you start from the corners, build a semi-secure formation, and then grow out from there. Both my opponent and I have staked out positions in the corners. What if the board was a little different? If you want to understand elections, to understand influence, learn the game of Go (wei qi in chinese). This is not a justification, or even a detailed election analysis. Just analogy to help promote discussion. I love this game. It keeps me humble. No other game teaches so much so simply. Go is about influence. But sometimes, it is about tactics. I recently lost a game. I made not 1, but 3 mistakes, that cost me the game. If I had not made any one of these three I would have won, and quite soundly. Instead, I lost by 1.5 points, a very close game.